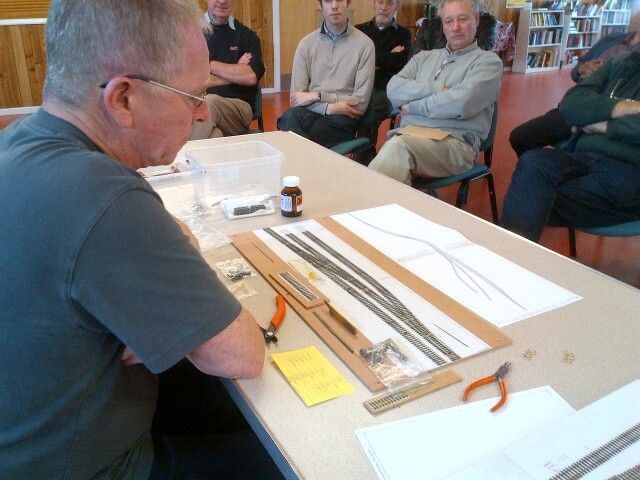 Today we were all shown David Long's method of using plywood sleepers to make 2mm fine scale track and pointwork. Although as I have previously written it might not be feasible to construct a very large or complex layout using these methods (come on - someone prove me wrong...!) the results as seen on a smaller project are really very pleasing indeed. 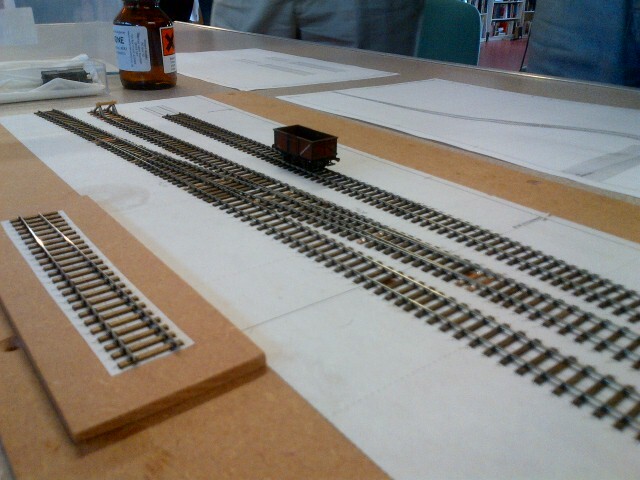 Plywood sleepers are cut and glued to a Templot plan. Easitrac point chairs are then threaded on to the rails and simply glued to said sleepers with Butanone. Switch and common crossing timbers have a single PCB sleeper with cast brass chairs soldered to them which enhances the appearance and provides seamless connection to the current from below. Full marks to David for showing the way in this respect. I'm sure I will be able to twist David's arm into writing something about his work for the 2mm Magazine......! I took a few pictures with my phone camera and because of that the quality isn't all that good but you can get an idea of the size of the project. Yes, I did say the pictures weren't much cop. 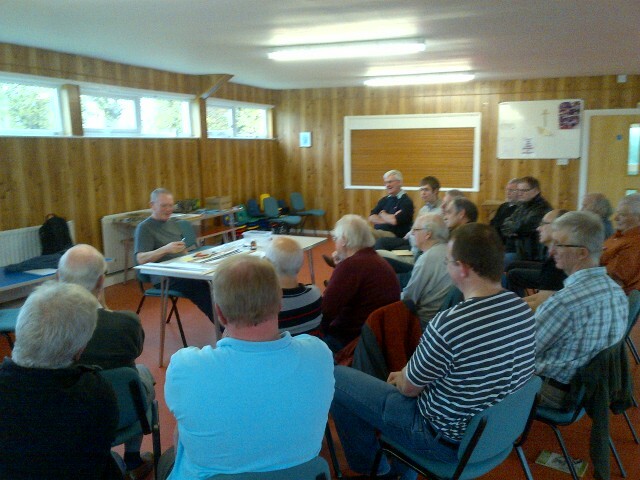 I will be looking to take some more with a proper camera, maybe at a L&Y meeting in the near future.